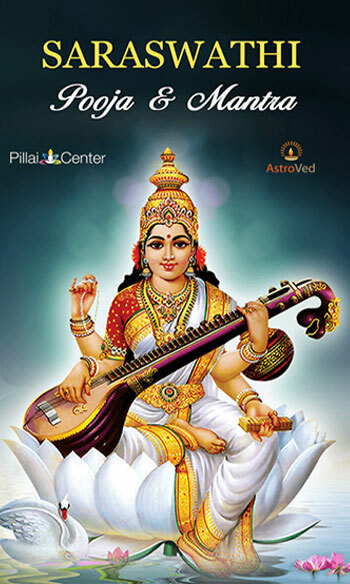 Saraswathi is the consort of Lord Brahma. 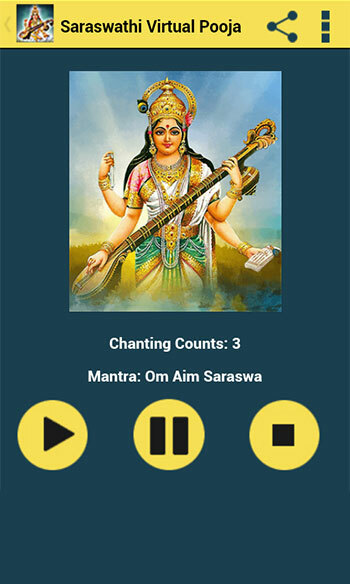 She is embodiment of purity and knowledge. Her four arms are symbolic of four facets of enlightenment: Intelligence, Insight, memory and cleverness. 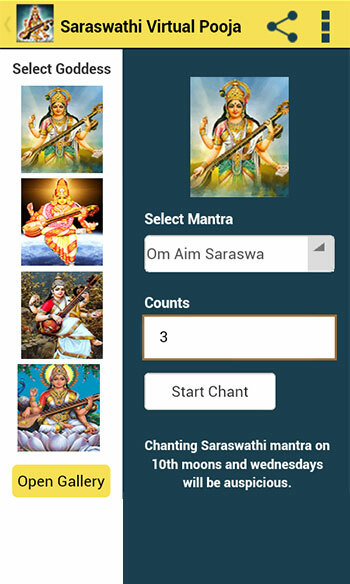 Goddess Sarawathi is the deity of all Learning and Arts and also she is the Goddess of speech. 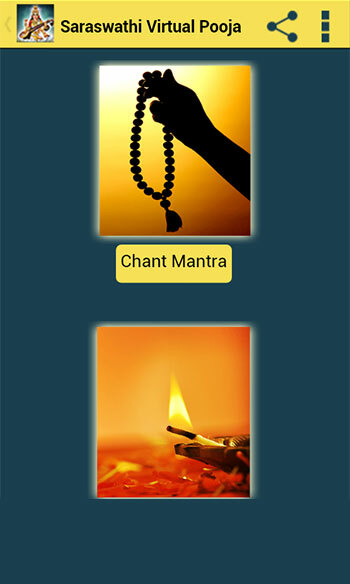 Through spiritual practice of mantra and prayers to her, one will acquire powerful oratory skills. 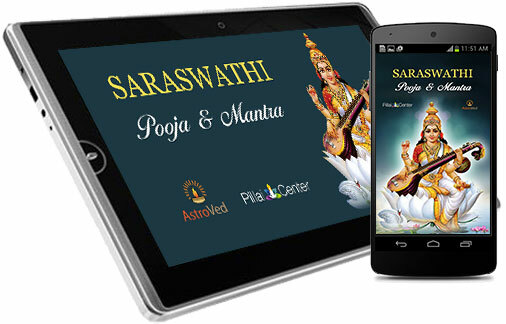 You can offer prayers to Goddess Saraswathi through Saraswathi Pooja & Mantra application to gain sacred knowledge to overcome all the difficulties of life.